Over 30 organisations including Children's Food Campaign, Soil Association Food for Life, and School Food Matters along with Jamie Oliver are calling on the Department for Education to act on its promise to prioritise children’s health and well-being and ensure schools deliver healthy meals and food education. Schools are required to deliver high quality school meals and food education, and despite a promise to introduce a Healthy Schools Rating Scheme in 2016’s Childhood Obesity Plan, repeated again in Chapter Two in June 2018, the scheme remains on DfE’s ‘to do’ list. 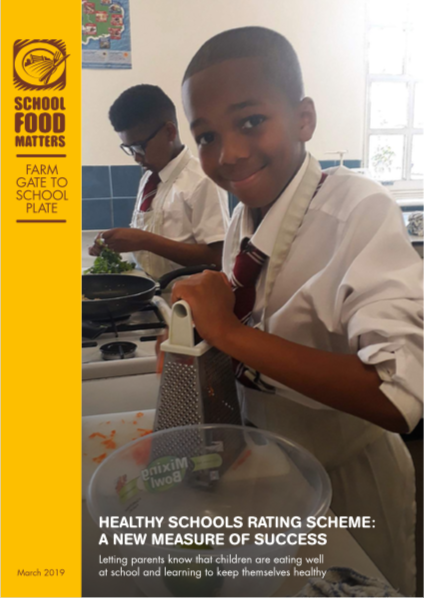 Sustain (and Children's Food Campaign) member School Food Matters is leading a coalition of organisations to push government to deliver on its promise to support schools in monitoring and managing healthy, quality school meals in line with mandatory School Food Standards, and food education, which is part of the curriculum. Children's Food Campaign: Better food and food teaching for children in schools, and protection of children from junk food marketing are the aims of Sustain's high-profile Children's Food Campaign. We also want clear food labelling that can be understood by everyone, including children.